According to the Centers for Disease Control, one out of every three traffic fatalities in the country is due to an intoxicated driver. Drunk drivers cause an average of 370 deaths of Georgia residents each year. Many of these deaths involve people between 21 and 34 years of age. Drunk driving fatalities should be zero. There is no justification for a driver who has had too much to drink getting behind a wheel. Drunk drivers are a danger because they have no control over their trucks or vehicles, and because other cars have no way to drive defensively because intoxicated drivers are erratic. 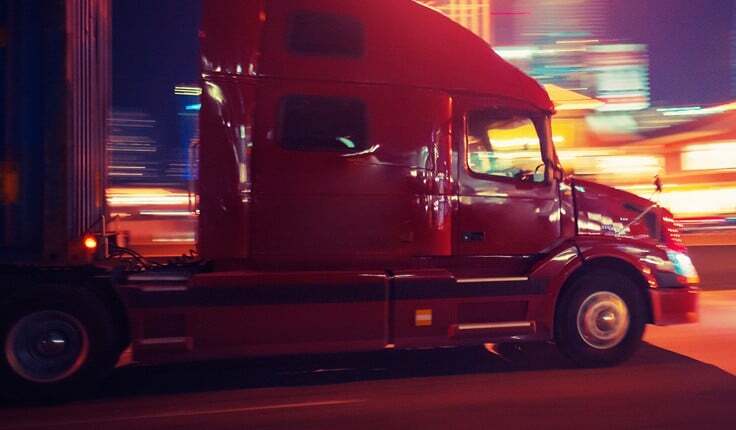 Drivers who operate trucks while intoxicated are even more dangerous because the impact of a truck accident is often more catastrophic than a car crash. An Atlanta drunk driving accident lawyer at Harris Lowry Manton LLP is ready to help you obtain justice. We work with law enforcement that often determine through chemical tests whether the driver was intoxicated when the injury happened. We bring punitive damage claims because driving while drunk is so egregious. Our highly successful track record includes substantial settlements and verdicts against truck drivers and drunk drivers. In Georgia, as in all states, drivers who have a blood alcohol content (BAC) of .08 or more are presumed to have driven their vehicle while intoxicated. BAC is usually determined by a breath or blood test. Drivers who have a commercial driver’s license (CDL), as drivers of semi-rigs and other large trucks usually do, are held to a higher standard. If someone with a CDL is found to have a BAC of .04 or more, they are presumed to have been driving while drunk. Truck drivers are especially prone to drive while intoxicated because of the lonesome hours away from home. While a drink may relieve the boredom, truckers should refrain from driving until the alcohol is out of their system. Who is accountable besides the driver? The owners of the truck. Vehicle owners are usually liable for the actions of the people they let driver their trucks. The trucking company that hired the driver. The business that hires the truck driver should routinely communicate with the driver and look for signs that the driver may be intoxicated. Irresponsible businesses that sell liquor. Taverns, nightclubs, liquor stores, restaurants, and any entity that sells alcohol can be held liable if they serve liquor to someone who causes a truck accident if that person was under 21 or was visibly intoxicated. Social hosts. In Georgia, party givers, families, homeowners, and employers can be held responsible if they give liquor to a minor or someone who they knew or should have known already had too much to drink. Determining that the driver was intoxicated and that the intoxication caused the accident requires a great deal of investigative work and precise understanding of the laws. Drunk drivers are deadly drivers. Survivors often suffer catastrophic injuries such as traumatic brain injury, spinal cord damage, broken bones, loss of vision, or muscle and ligament damage. Families of deceased victims are devastated and live with emotional pain and financial loss the rest of their lives. To get the strongest recovery, please contact a caring Atlanta DUI truck crash lawyer at HLM for immediate help. You can schedule a free initial consultation by phoning 912-417-3774 in Savannah or 404-998-8847 in Atlanta, or by completing our contact form.